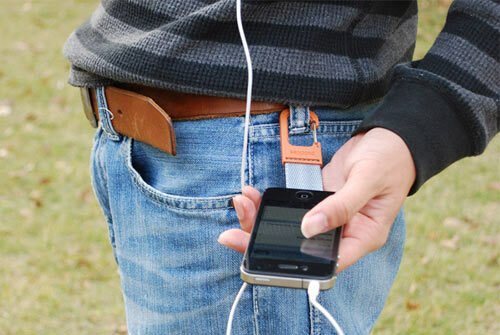 From that eureka moment in 2009 sprang his company, Poddities, which now sells a range of attachments and cases that make the iPhone a full-fledged member of the strap-dangling set. 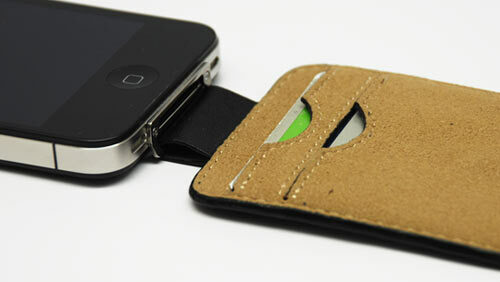 The simplest add-on is the Netsuke, which uses a screw-on stainless steel base plate to bring an eyelet to the iPhone, to which you can attach your strap of choice. 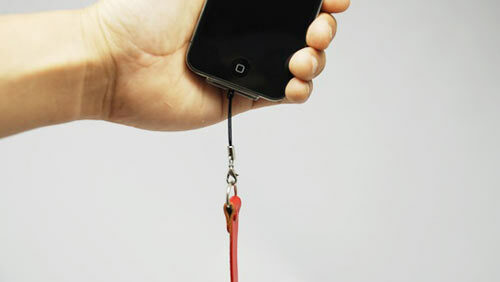 At ¥1,890 it’s a smart way to hook up your favorite phone charm. 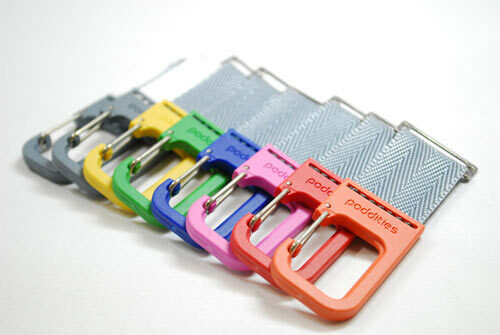 Alternatively, you may prefer the Carabiner or Loop Straps – from ¥2,625 up to ¥3,990 and available in a smart range of colors from the Poddities online store. As with the Netsuke, all the products come with a special (and rather attractive) mini screwdriver that you use to remove those two screws on the bottom edge of the iPhone and replace them with slightly longer versions that accommodate the Poddities plate. If it sounds more complicated than it really is, that’s probably because the idea of taking a screwdriver to your phone isn’t exactly appealing. Still, installing any of the gear takes about a minute and is really about as simple as it gets. In case you’re wondering, the dock connecter remains accessible as usual. Lastly, there’s a neat-looking case called the Osaifon, which is basically a soft leather flip cover with a twist – it has a pocket on the inside for your train pass, credit card or whatever other thin rectangular objects you like to carry around. A smart idea, although slightly expensive at ¥5,040. Poddities also does a similar line for the older iPhones out there, so check ‘em out for yourself at the link below and go grab a bowl of ramen in safety.